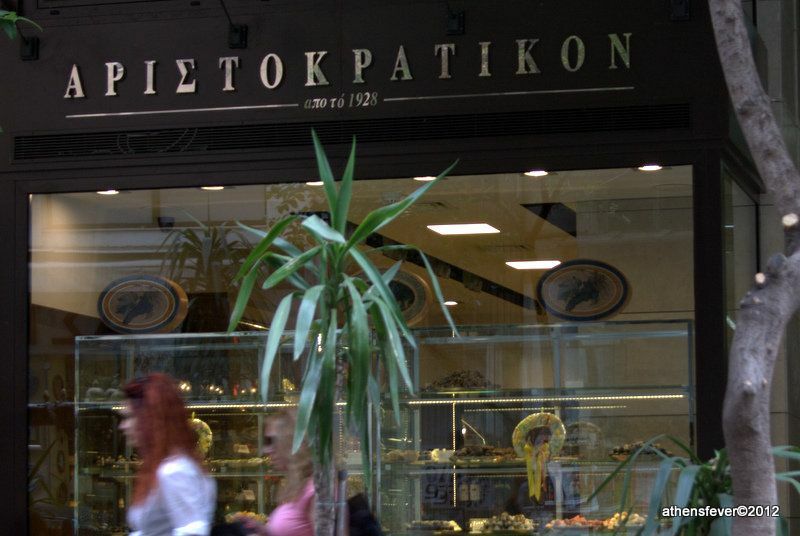 Founded by the Varsos family in 1892, this patisserie is the oldest in Athens. It is well known for its Greek traditional products: Yogurt, Tsoureki, Rose flower marmalade, yogurt with rice and meringues. 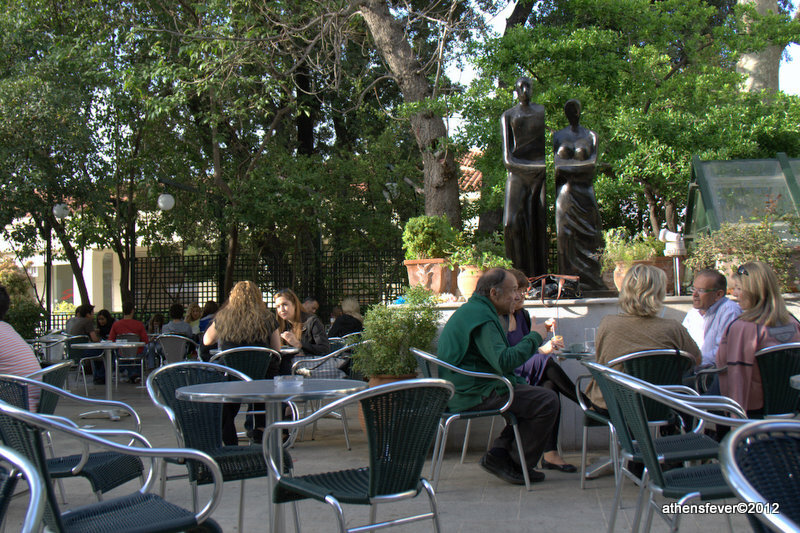 Varsos is a meeting point to the locals in Kifisia, who enjoy sitting in its calm background yard. This pastry is very well known for the Greek traditional sweet called "Galaktoboureko" (Custard Pie) that you get in whole oven plate. Other sweets like "Kataifi" (see picture bellow) are also available. 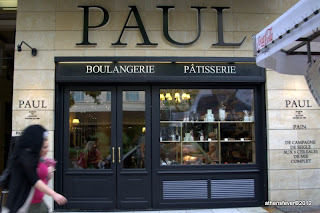 This is a well known bakery and pastry shop in France. Chez Paul, you'll find French baguette done in the traditional way and French pastry. Also, you'll find Sweet Pastries, Cakes and Desserts, Salads and Sandwiches. "Bon Appetit!" "Sweet Alchemy" shops are relatively recent in Athens. 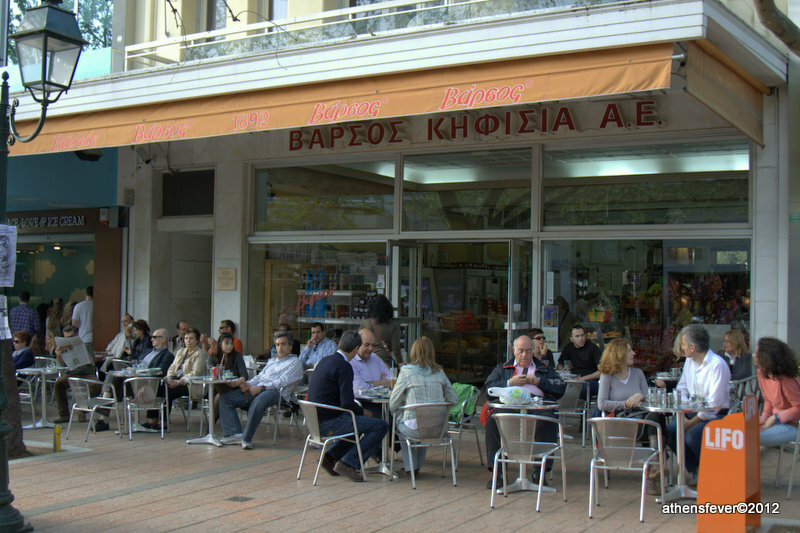 Founded by Stelios Paliaros, a Greek pastry chef, mainly known by a popular TV show by the same name of the shop. The shop sells the main ingredients and pastry tools you need to realize yourself Paliaros recipes. 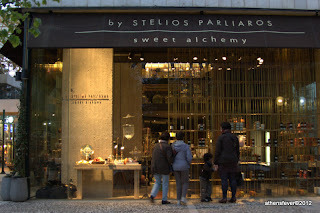 There are of course some sweets to buy, I suggest you try Paliaros Lokum that is a real delight. 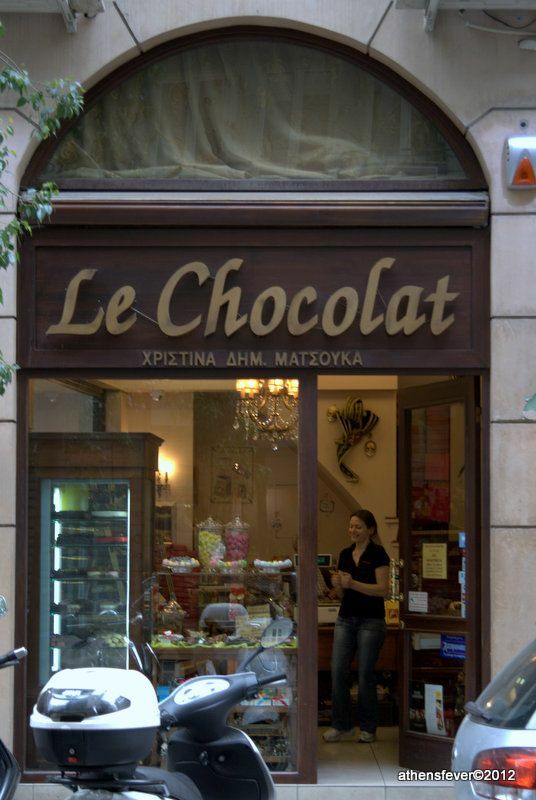 This is a very well known traditional Greek chocolate shop. 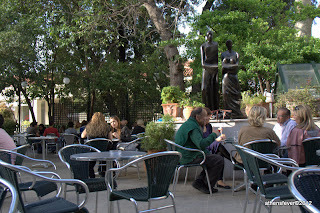 A gift from Aristokratikon is always very much appreciated by Athenians. This chocolate shop has a wide variety of Belgian, French and Greek chocolates. The most popular chocolate in Greece is the one produced by ION company. It is called in Greek "ION Amigdalou" (see picture below), it is a chocolate with almonds that hasn't changed cover since its introduction 4 decades ago. 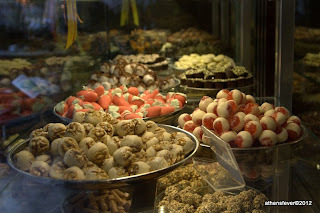 You can find this chocolate everywhere in Greece from supermarkets to kiosks in the street. ION has of course a wide range of chocolate and sweets products. 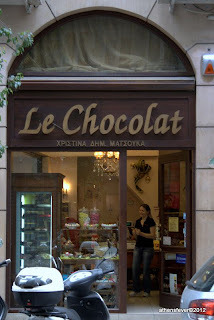 It is in fact so well established in the market, that the name of ION in Greece is synonym of chocolate. Even if the name does not sound Greek, this is a Greek company founded in 2005 with the first store opened in Piraeus. 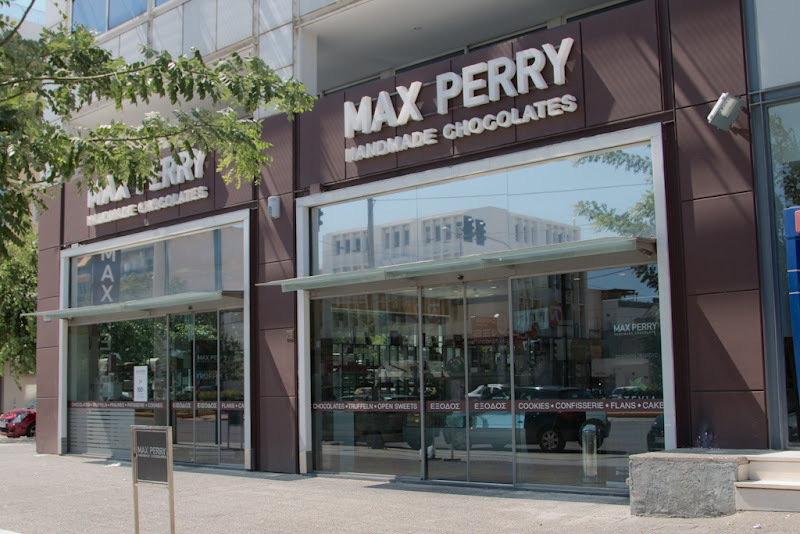 Today you can find Max Perry chocolate stores nearly everywhere in Athens. I suggest you try the savoury versions of brioche type bread called in Greek 'Tsoureki'. Check also their new chocolate made with Stevia sugar substitude, such as the Milk Orange or the Milk Almond. The full range of products found at Max Perry can be consulted at their web site. This is a well known patisseries shop in the city of Thessaloniki in Northern Greece. Besides their traditional sweets, their savory versions of Tsoureki is considered the best in Greece. In Athens, there are two Terkenlis shops one of which is at Athens International Airport located at the arrival terminal, near the exit number 5. This shop near Syntagma square is a heaven for candies and sweets fans. At Matsouka, the choice is huge, so you'll need all your time to make up your mind. 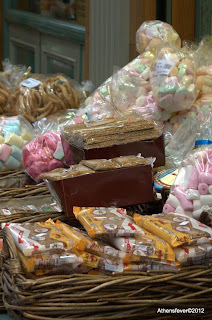 Besides candies, you'll find dried fruits like raisins, apricots and dates, cereals. 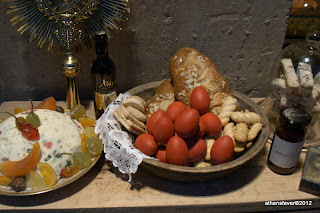 Greek fruit preserves of grapes and cherries, Greek cookies and many more. More interesting are exotic products such as Ginger from Fitzi Islands, and dried Mangos from Thailand.